1. How does a distance session work? One of the many advantages of Energy Medicine is it can be done at a distance – over the phone, via Zoom, or email. What is Distance Healing you ask? Distance healing is any form of healing energy "sent" across time and space that is received and has a healing effect on the recipient. With this type of work, you do not have to be physically present with the practitioner to receive the healing energy. It may be done over the phone or at a specific time set aside and agreed upon between you and the practitioner. All that is necessary is your picture so I can connect with your energy. This type of energy healing can be equally effective as an in-person session, because in alternative energy healing and holistic medicine modalities, we are working with the physical, emotional and mental aspects of an individual by accessing the individual’s energy body. The energy body can be accessed easily from anywhere and at any time and does not require you to be physically present with the practitioner. 2. What is an energy session and what does it feel like? If you are doing a session in person, you will lie on a massage table fully clothed where I do muscle checking to find out what your body needs at that moment. It is painless, non-invasive, and if you fall asleep, no problem! You may feel the energies in your body move and shift as I am working with you, via off body tapping, but usually you just feel very relaxed. I tap above your head and heart area, with the intention to anchor in the work we have done. This allows the body the opportunity to create the appropriate shifts in your body/mind to start the healing process. 3. How many sessions are recommended? It is not possible to know the number of sessions to recommend that may resolve, as I can’t provide any guarantees.In my experience, it depends on your body and how much it can release and change after a session. Usually the resolution or improvement of an issue works best with at least 3 sessions. Since we are working from an energetic format, the body needs time to make the adjustments and implement the healing that the session set in motion. As you know, it usually takes a long time to create these issues, so we need to give it some time to unwind and see if the issue can be remedied. 4. How do you work on Animals? There are several possibilities, but it is usually as a distance session. Very often I use the owner as a surrogate, so do the session on them. Since it is energy, and there is a strong connection between owner and their animal, the theory is that the animal receives the session as if I was doing it on them directly. The advantage of doing it away from the animal, is this allows them the freedom to move around, shake, or even sleep during the session while in their own home. 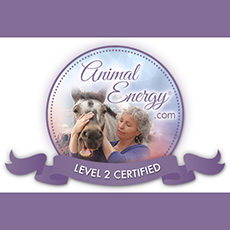 If you are watching your animal during a session, you may notice that they are feeling the energy move and shift. If doing an actual distance session via the phone, or email, having a picture is necessary so I can connect with their energy. 5. How can a session help me and/or my animals? Energy Medicine methods are intended to help your body be more efficient. Most disease really comes from the body not functioning efficiently, letting the immune system get behind or not keeping tissues healthy, or not digesting food properly for maximum nutrition. The premise of Energy Medicine is when the body is in balance, it heals naturally. For people or animals who are already pretty healthy, it can help them perform better in sports, at work, and enjoy their life to the fullest. Overall breathing patterns, left/right brain co-ordination, energy blockages associated with birthplace, energy imbalances within the brain cortices, general and localized hydration, and health problems associated with internal and external scarring. Specific balancing of the twelve major organs, eight endocrine systems, and other body parts. Clearing the energetic body of viruses, infections, parasites, food intolerances, environmental allergies, and accumulated toxins. Addressing energy blockages associated with the nervous and circulatory systems. 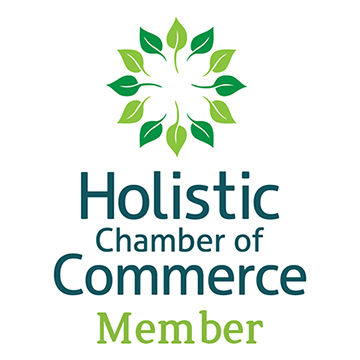 Balancing the various energy systems within the body, including the traditional acupuncture meridians, the chakras, and general bioenergetic energy flow. Energetically releasing parts of the musculo-skeletal system that may be “locked”. This includes the spine, pubic bone, cranium, sacrum, ribs, joints and muscles. All of the above can also relate to any animals/pets in your life. While it is not possible to provide any guarantees, the balancing of the above mentioned areas can have a profound impact on the overall health of the body. 6. Why does it seem work? 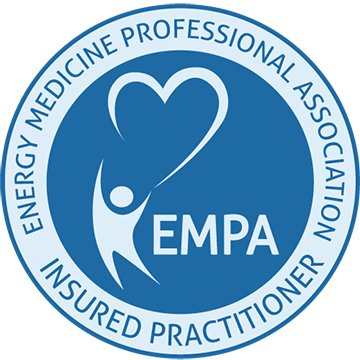 With Energy Medicine, the practitioner does not diagnose or treat the problem with the client. The innate intelligence of the human body informs the practitioner which energy systems need to be rebalanced and in which particular order. In this vein, the energy work done by the practitioner is not influenced by what the practitioner thinks is wrong with the client. When you consider that there are over a billion synchronized activities that occur in the human body every second, it is not hard to see that the conscious mind of a practitioner may have some difficulty in determining exactly what is going on inside someone’s body. This is where the Energy Medicine systems can excel. The practitioner is relieved of this burden and the source of the problem is actually the provider of the information that is needed for the client to resolve issues. 7. Will it work right away? There is no guarantee that Energy Medicine will work right right away or at all. However, in my experience, clients report some symptom relief right away. In other cases, the body has some healing to do after the session, and the changes or shifts are more gradual. A lot of times the work is so gentle that people can’t say what changed, but when I go over my notes from a previous session, there are a lot of symptoms that are either gone, or much less noticeable. 8. How do you get the answers? Our body has an electromagnetic field that radiates out past the surface of the body. We all pick up information from each other. We all have gut reactions to people we like or don’t like instinctively. Muscle checking, which is how I get my information, is a way to access intuitive information in our subconscious. It’s like a way to access information from our “gut reactions” in a systematic way. 9. What is is Accunect®? Accunect® is a new, simple, yet revolutionary form of healthcare that is designed to activate the body’s ability to heal itself on all levels. It is part of the field of complementary and alternative medicine, and is described as a consciousness based healing system. Accunect® works from the holistic view that the mind, body and spirit are connected, which is believed to allow fast, profound and long lasting effects. It is the synthesis of many healing techniques such as Traditional Acupuncture theory, modern biomedicine and neuroscience, osteopathic theory, tapping techniques, and quantum physics theory. It is considered a type of Energy Medicine because it uses the power and frequency of universal consciousness where instant transformation is possible and we can connect to our true selves. Accunect® is a powerful, simple, non-invasive method that is designed to allow the body to be balanced and heal itself naturally. It is believed to help restore the body’s natural healing potential. Stress occurs in the body because of emotions, beliefs, accidents, injuries, toxins, microbes, trauma, and as a result of feeling disconnected from our environment and our true selves. Any of these factors can impact on the ability of your body to function at optimal levels, which may result in illness and disease. Accunect® is designed to address these factors at a deep, energetic level. During an Accunect® balancing session, the practitioner uses muscle checking to discover areas of stress and imbalance. These areas are then highlighted using Accunect® non-invasive techniques, allowing the body’s internal awareness and focus to be redirected to those areas. The natural healing response, balance and correct functioning can then be re-established. Carolyn is a Certified Accunect® Practitioner, and Accunect® SelfCare Instructor. BodyTalk® is an astonishingly simple and effective holistic modality that is designed to allow the body's energy systems to be re-synchronized so they can operate as nature intended. Each system, cell, and atom is in constant communication with each other at all times. Through exposure to the stresses of day-to-day life, however, these lines of communication can become compromised or disconnected, which then may lead to a decline in physical, emotional and/or mental well-being. Reconnecting these lines of communication can enable the body's internal mechanisms to function at optimal levels, thus repairing and preventing disease while rapidly accelerating the healing process. In this way, BodyTalk® is intended to stimulate the body's innate ability to balance and heal itself on all levels. BodyTalk® is non-invasive, objective in application and can work effectively on humans and animals alike. Carolyn is a Certified BodyTalk® and PaRama BodyTalk® Practitioner.